Julia Ward, the daughter of a wealthy banker, was born on 27th May, 1819. She developed radical political opinions and was active in the American Anti-Slavery Society. In 1843 Julia married Samuel Gridley Howe, a fellow campaigner against slavery. The couple were both members of the Free-Soil Party and between 1851 and 1853 Julia and her husband edited the anti-slavery journal Commonwealth. 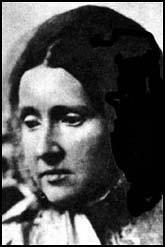 Julia Ward Howe also published several volumes of poetry including Passion Flowers (1854) and Words for the Hour (1857). 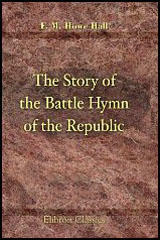 In 1862 the Atlantic Monthly published her Battle Hymn of the Republic. In 1868 Howe founded the New England Women's Suffrage Association. The following year Howe and Lucy Stone formed the American Woman Suffrage Association (AWSA). Between 1870 and 1890 Howe and Stone edited the organization's magazine, the Woman's Journal. 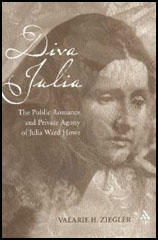 Julia Ward Howe, who in 1898 became the first woman to be elected to the American Academy of Arts, died in 1910.